Most people have some idea that the chemicals in shampoo and other personal care products are not always completely safe. However, many aren’t aware how common carcinogenic and toxic ingredients are. The FDA doesn’t regulate shampoo and other similar products, and therefore it’s legal to put practically anything in them. Here are 6 ingredients to keep an eye out for. Propylene glycol is a chemical most often used as a humectant, or a skin-moisturizing agent. It’s also used as a viscosity-decreasing agent, or a chemical that makes your personal care products less sticky in texture. However, this ingredient can be highly irritating to your skin, eyes, and lungs. There is some evidence that propylene glycol has toxic and allergenic properties. Even a propylene glycol concentration of just 2% can cause severe skin irritation and even hives. This chemical is classified as toxic according to the Environment Canada Domestic Substance List. Reduce your chances of skin irritation by looking for shampoos, as well as other personal care items, that are free of this ingredient. Sodium laureth sulfate, also known as sodium lauryl sulfate, is used as a surfactant, detergent, and emulsifier. This chemical is found in industrial cleaning agents as well as almost every commercially available shampoo, liquid soap, and laundry detergent. The main problem with sodium laureth sulfate is that due to the manufacturing process, it is often contaminated with 1,4 dioxane, a carcinogen. Research shows that sodium laureth sulfate can cause eye and skin irritation, endocrine disruption, ecotoxicity, organ toxicity, developmental toxicity, reproductive toxicity, neurotoxicity, and possible DNA mutations which lead to cancer. Do your body a favor and look for shampoos that don’t contain sodium laureth sulfate. DEA is a chemical used to adjust the pH of products. However, it is harmful, and in fact has been banned in Canada for use in cosmetics. There is evidence that it irritates the skin, eyes, and lungs, and can cause organ toxicity. There is strong evidence that DEA is a human immune, respiratory, and skin toxicant. According to the California Environmental Protection Agency, DEA is a possible human carcinogen. You should stay on the safe side and avoid shampoos containing this ingredient. Methylisothiazolinone is a chemical used as a preservative in many shampoos, liquid soaps, and other personal care products. Unfortunately, while it does extend the shelf life of your products, it is a known human immune toxicant and sensitizer, meaning that it will reduce the effectiveness of your immune system. Some studies show evidence of serious skin and allergy problems caused by methylisothiazolinone. There have been studies involving mammal brain cells that suggest that this chemical may be neurotoxic, meaning that it poisons the nervous system. Methylisothiazolinone is banned in Europe, as the government found it unsafe for use in cosmetics. Methylchloroisothiazolinone is another similar chemical to avoid. Parabens are a class of chemicals that are used as preservatives in self-care products, preventing the growth of microorganisms. The FDA has stated that parabens are safe at concentrations of up to 25%. However, there is still evidence that suggests otherwise. Methyl, propyl, and butyl parabens disrupt the endocrine system, interfering with gland function and hormone production. Methyl parabens increase UV light sensitivity, leading to premature aging. Because parabens mimic the chemical properties of estrogen, paraben exposure may increase the risk of breast cancer. Parabens can also lower sperm counts in men. 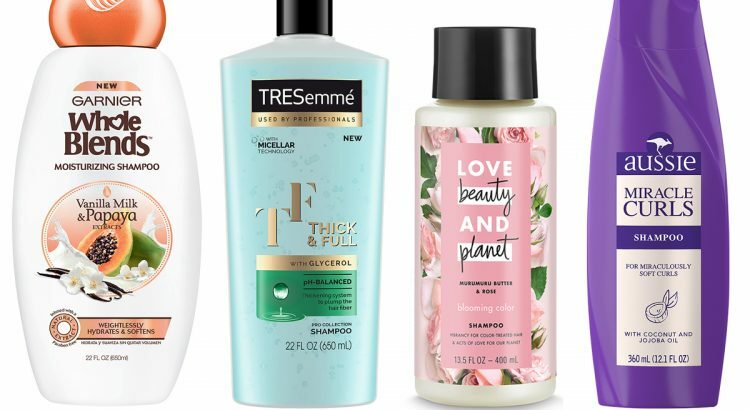 Thankfully, there are many paraben-free shampoos available, but you’ll have to look for them. 1,4-dioxane is a byproduct of manufacturing processes that are meant to reduce the risk of skin irritation when working with petroleum-based substances. Exposure to this chemical is linked to liver, nasal, lung, skin, gallbladder, and breast cancer, yet is found in up to 46% of personal care products. The U.S. National Toxicology Program says that 1,4-dioxane is “reasonably anticipated to be a human carcinogen”, due to many animal studies suggesting so. The U.S. Environmental Protection Agency also has stated that 1,4-dioxane is likely a human carcinogen. You can identify products that are likely to contain 1,4-dioxane by looking for “PEG”, “polyethylene”, or “polyoxyethylene” anywhere on the ingredients list.